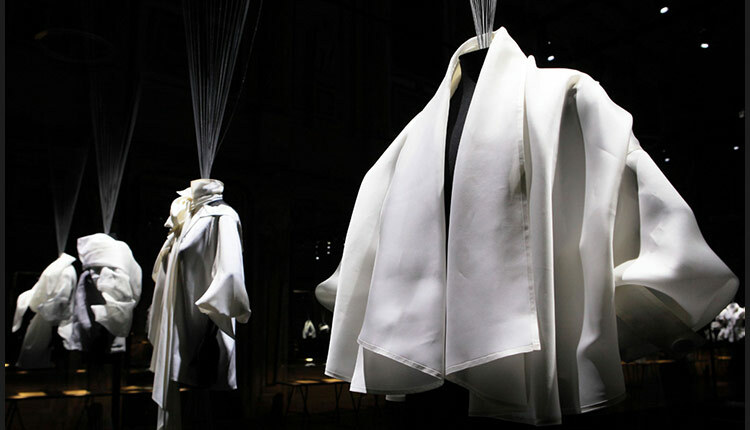 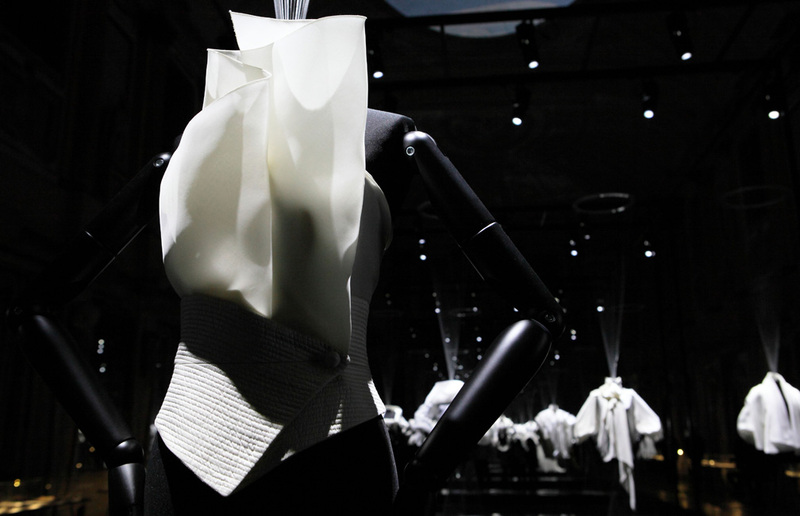 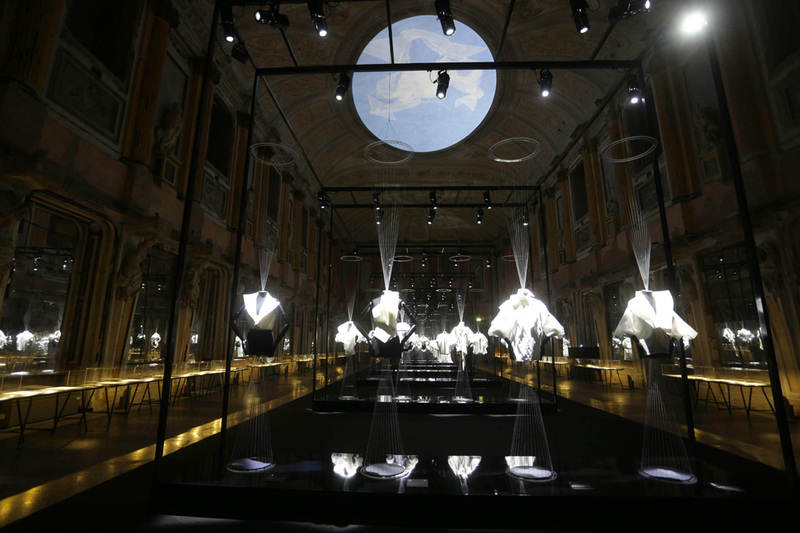 Exhibition on a "classic" reinvented by Gianfranco Ferré: the white shirt. 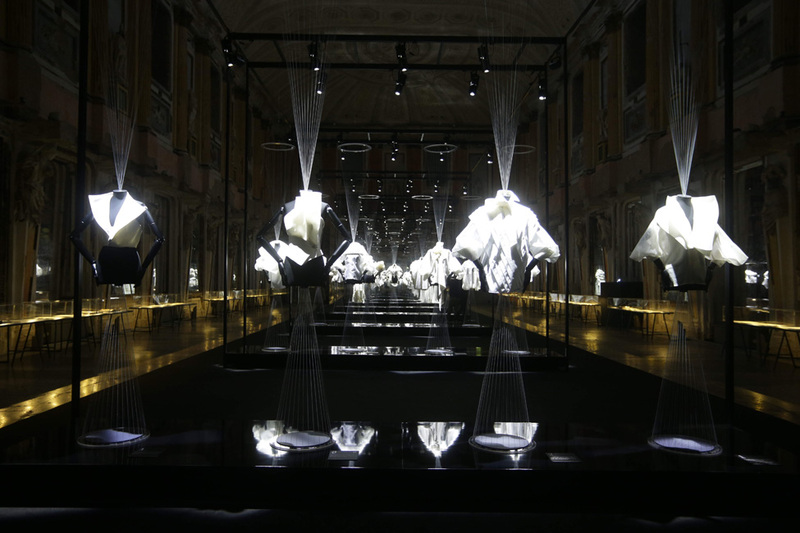 27 sculpture-shirts, in the Cariatidis Room of the Royal Palace. 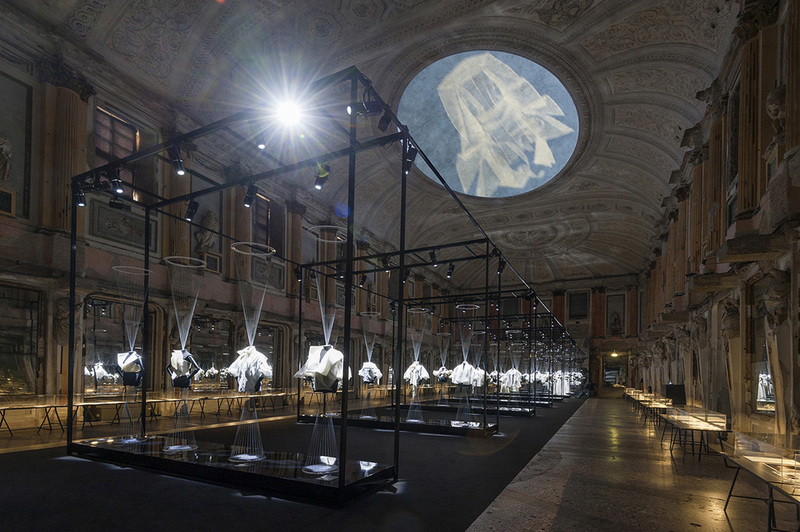 Large black iron structures;twice as many mirrors as there usually are in the room, to reflect the candor of shirts floating in the void; spotlights. 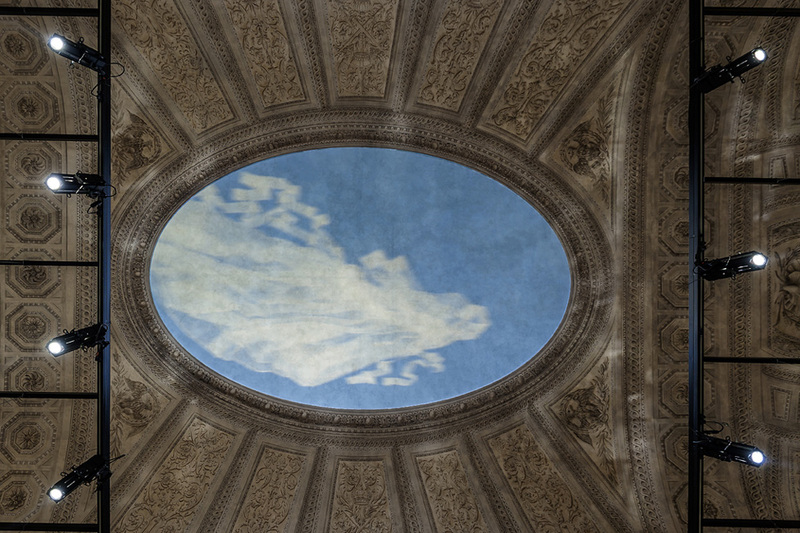 And, a projection of a sky in the cove of the ceiling with "shirt clouds" passing by.